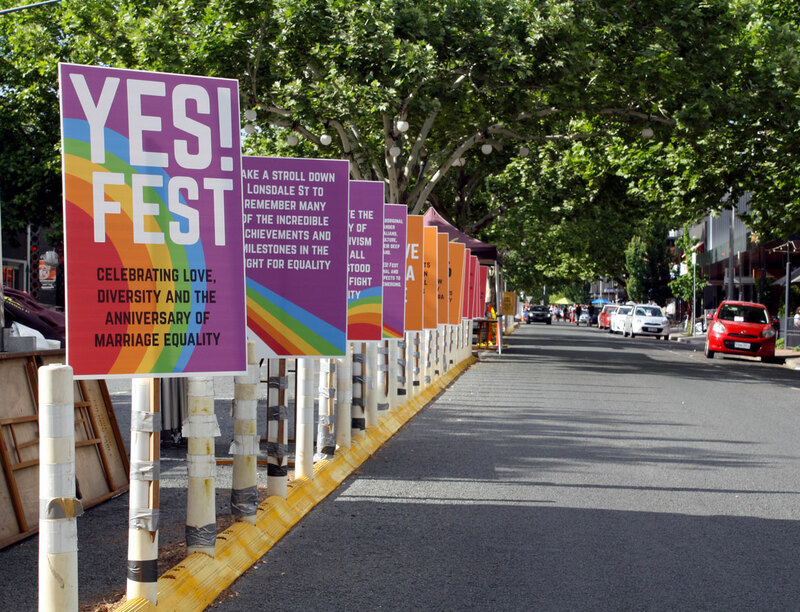 The inaugural YES!Fest street party was held on 17 November 2018 to celebrate the first anniversary of the marriage equality survey result. The YES! 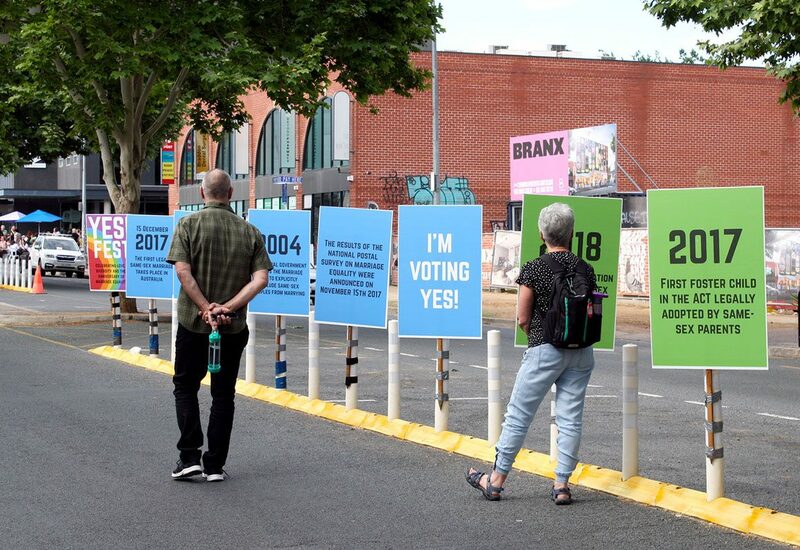 Fest team wanted to activate the lower end of Lonsdale St with a display that would encourage visitors to meander up the street as they headed to the main party area. We devised the idea of creating a timeline of key events in LGBTI history to pay tribute to the activists who fought (and continue to fight) for equal rights. 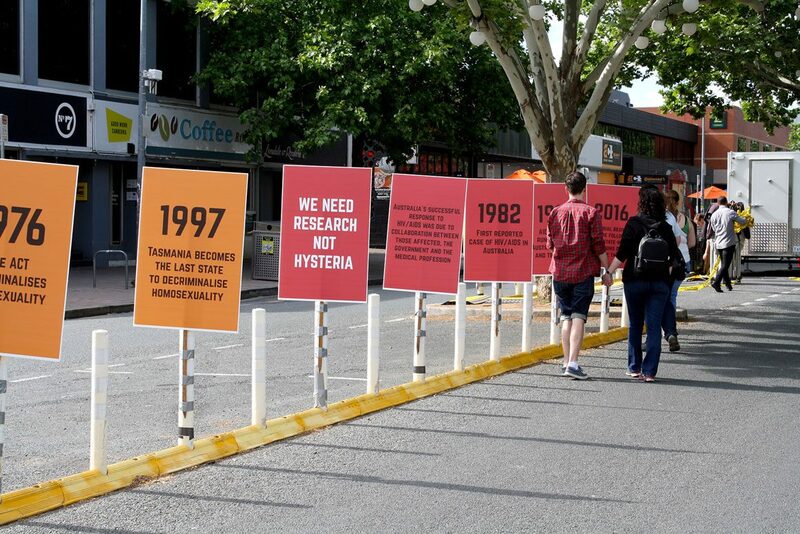 The timeline would be displayed on placards to reference the rich history of LGBTI activism and protest. The six key themes were each assigned a different colour of the rainbow. Each theme was introduced with a slogan taken from images of historic protest marches, followed by an introduction, and then key milestones noted by year. 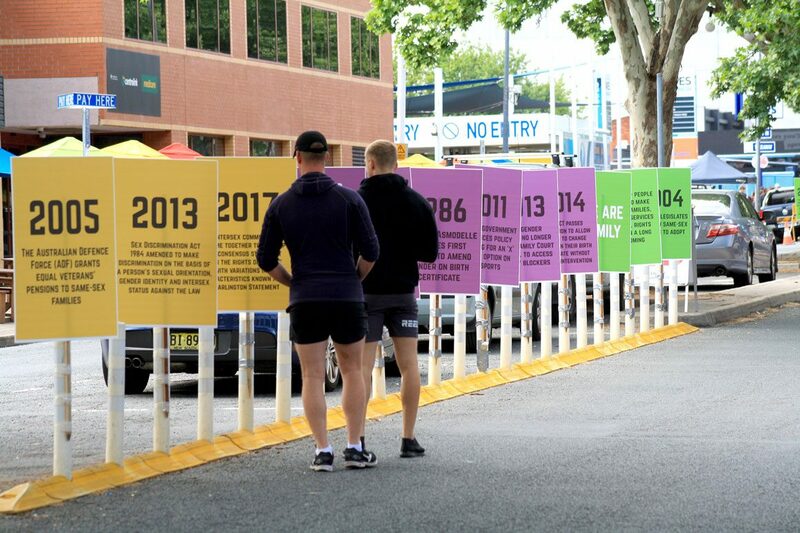 Using the fixed street bollards, the placards were placed down the centre of the street, creating a strong visual presence that drew visitors up Lonsdale Street towards the festival’s main stage. This was easily the most temporary exhibition we have ever designed—it was up for a total of six hours.